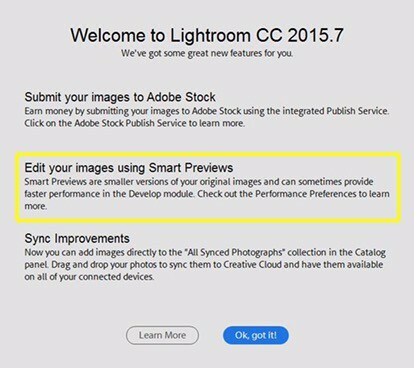 Late on 9/19 Adobe quietly released an update to Lightroom to CC 2015.7 / 6.7 that very notably supports RAW for the Canon 5D Mark IV, but I am FAR more excited about the new preference to edit in the Develop module using Smart Previews!!!!! I haven't tested the new feature out yet, but if it is doing what I think it is, it could be the “turbo” mode Victoria Bampton (lightroomqueen.com) and I discussed on Photo Taco a few weeks ago. If so, this could have an incredibly positive impact on performance. 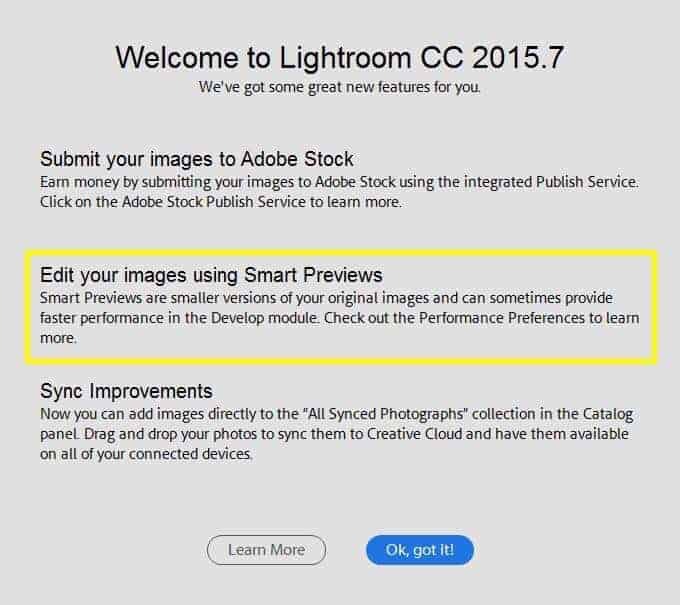 You can ready the little bit of information Adobe has published thus far about the update here. As always we advise photographers who can't afford the smallest of hiccups to hold off on an update until we get a good look at it, but this looks like it could finally speed things up in a meaningful way!